Professor Guisan's main focus is on spatial predictive modelling of plant and animal distributions, and the communities they form. 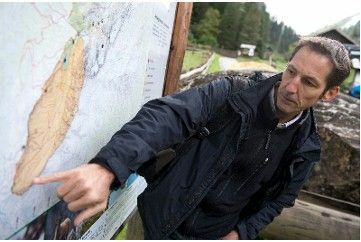 Besides theoretical and methodological interests in understanding and predicting species distributions, his research group at the University of Lausanne is developing models for various applied purposes, such as rare species management, assessing the potential impact of climate change on biodiversity, and anticipating biological invasions. He has received many distinguished awards, including the Essential Science Indicator, 2nd most cited scientist in 'Ecology/Environment' for 2015; Thomson Reuters Honors Australia's Leaders in Research and Innovation; and was a Co-recipient for the Peace Nobel Prize, Lead Author in IPCC/WGII, 2007.